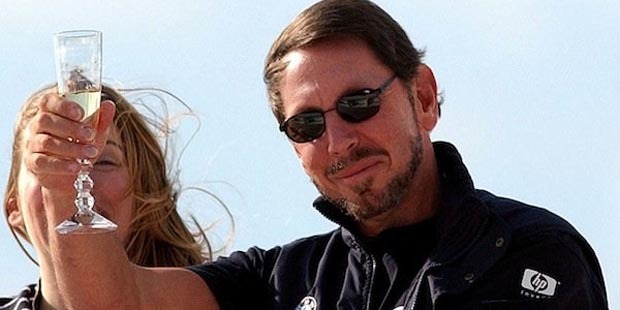 It is no secret to my regular readers that I am not a big fan of Oracle’s Larry Ellison. The origins of my disenchantment go all the back to the vendor’s early days when Ellison was forced to lay off approximately 10 percent of the company’s workforce due to questionable accounting practices. The practices to which I am referring centered around upper management encouraging Oracle sales representatives to push customers to buy “the largest amount of software all at once” without actually paying the full pop. The company’s finance people then claimed these future sales in the then present quarter. Problems arose when said revenues failed to materialize, leading the company to restate its earning on two separate occasions. Not surprisingly, this led to a class-action lawsuit that was ultimately settled out of court. Even though Ellison later admitted that “Oracle had made an incredible business mistake,” for me the die was cast as it demonstrated his inability to look beyond the here and now. Specifically the let’s win the business first and worry about making it work later swashbuckling mindset that has led to massive implementation failures over the years. Examples such as the failed VA initiative that resulted in a congressional hearing, and the latest racketeering charges by Oregon’s Attorney General, are hard to overlook when you talk about Oracle and in particular Ellison. The fact is Ellison’s Oracle as well as the majority of traditional ERP vendors have a dismal success rate going back to the early days of enterprise solutions, as highlighted in the David Kirkpatrick 2005 Fortune article. 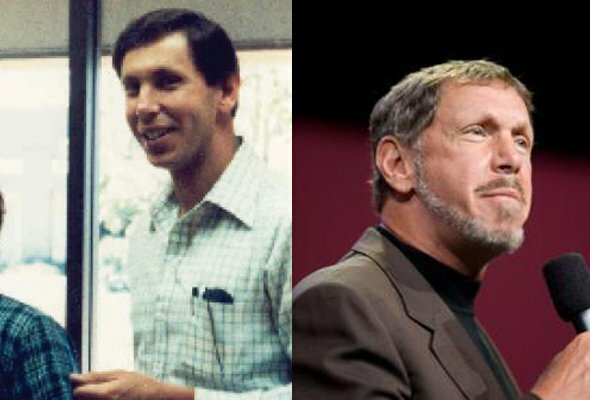 Given the long trail of of failed programs costing end user clients hundreds upon hundreds of millions of dollars, one might think that I would have been surprised by the genuflecting tone of the recent Josh Bersin LinkedIn post titled “Larry Ellison Steps Down: Succession Done Well“. However, this favorable review of the man who’s “charisma” Bersin gushed he immediately recognized when he met Ellison up close in the early 1980s, was no real surprise. Let’s face it, Bersin is not alone in his admiration as demonstrated by the endless accolades that Ellison and Oracle receives from industry pundits such as Gartner, despite the contrary evidence of their prowess. What was surprising, was the number of readers commenting on the Bersin post, who so readily bobbed their heads up and down in almost transcendental agreement with the writer’s account of the Oracle succession from its bigger than life founder. While I am certain that there were those who continued to cling to the belief that the world was flat long after it was proven to be round, it is clear that the Bersin text was little more than an insiders myopic ode for the benefit of the Oracle denizens that continue to drink the company Kool-Aid. The fact is, and in the spirit of John Roth’s timely departure from Nortel, Ellison knows that the jig as they say is up. The market is changing dramatically. Even though Oracle has coffers that rival some countries, Ellison also knows that even the greatest of empires must eventually decline. Think of it in terms of the Captain of the Titanic after striking the iceberg, turning to his first officer and putting him in charge of the ship. While the good ship Oracle is not taking on water just yet, the iceberg of market evolution that is obfuscated by the kind of adulatory prose associated with Bresin’s writing, is waiting ahead. All Ellison did was turn the ship’s com over to someone else before it hits. And it is this last gesture of self-serving interest that brings us full circle back to why I have had an enduring dislike for Ellison, and those like him. From padding sales figures, to over-promising and under-delivering to client expectations, the ones taking the helm of Oracle have a great deal to overcome. I am not certain that they can do it. I guess that time as they say, will tell. Thanks for the feedback Josh. In the spirit of fair play, would you be able to put me into contact with one or two satisfied Oracle customers as I would be more than willing to do a follow-up post giving credit where credit is due. While I am still awaiting Josh’s response, I would like to extend the opportunity to any of my readers to share their stories of Oracle success, as I am more than willing to post them here on the Procurement Insights blog.